[Text page with Compass card] - BLAEU, J. Title : [Text page with Compass card]. 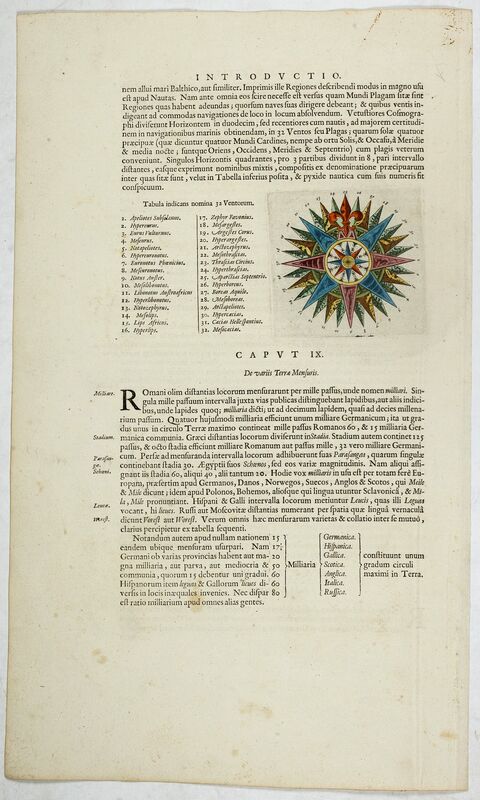 Description :On the recto a coloured wind rose with a table of 32 winds (95 x 95mm.) On the verso a little celestial diagram.